Women who spoke their minds. Loudly. An epic tale of female strength and sacrifice. A night of outspoken female power with the heroines of Richard Wagner’s operas. 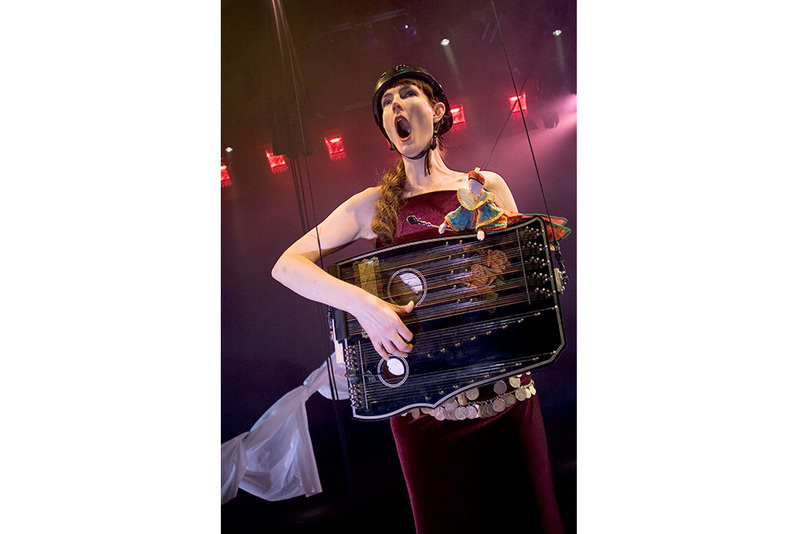 Miss Very Wagner is a collision between opera and performance art that investigates love, war, heaven and earth in a breathtakingly intense, but also humorous collage of song, text and dance. Charlottes Engelkes’ one-woman-show opened at Dansens Hus in Stockholm 2006 and has been touring dance- and theatre festivals among others; Euro-Scene Leipzig, Radial System Berlin, New Moves International Glasgow, Grand Théâtre de la Ville de Luxembourg, Noorderzon Festival Groningen, Gran Teater for Dans Aarhus, Korjamoo Helsinki, Singapore Arts Festival, The Swedish Royal Opera house. Women who fought for love. AN ASTARTE PRODUCTION with the kindly support of the Swedish Arts Council, the Cultural Department of Stockholm, The Arts Grants Committee and the Goethe Institute, Stockholm. Co-production: Sasha Waltz and Guests/Berlin, Grand Théâtre de la Ville de Luxembourg and Dansens Hus Stockholm.